Former captain of Pakistan Asif Iqbal was known in his time as the 'man of crisis' for his ability to stand firm and lead his side out of impossible situations. He last played for Pakistan in 1980 and retired with an admirable record of 3575 runs in 58 Tests, scored against some of the top bowling attacks of his era. In an exclusive interview with PakPassion.net, Asif Iqbal spoke about how impressed he was with the spirit of camaraderie in the Pakistan Test squad, Azhar Ali and Asad Shafiq's importance to Pakistan's batting, Shadab Khan's suitability for Test cricket and why he feels that the inexperienced Pakistan team can give a good account of themselves against England in the upcoming Test series. PakPassion.net: You recently met some members of Pakistan’s Test squad. What were your impressions of this group of players? Asif Iqbal: I recently met about seven of the players from the Pakistan Test squad and let me tell you that what really stood out for me was the camaraderie amongst the players. Whilst they appeared friendly and at ease with each other, there was also a strong element of respect for their leader and Pakistan captain, Sarfaraz Ahmed. It was heartening to see that the players had great respect for Sarfaraz and another point here is that an environment like this where players are so comfortable in each other’s company and in tune with each other, also helps in bringing out good performances from the players which is great for the team. I also noticed that there was a lot of joy and satisfaction in the performance of their teammates so instead of feeling envious or jealous of another player’s success, there was a definite feeling of pride at watching their colleagues do well which augurs well for the future of this side. One must give credit to the captain and also to the team management for inculcating this sort of positive attitude in the team and encouraging an environment which promotes such excellent team values. PakPassion.net: How important a role will Azhar Ali and Asad Shafiq play for Pakistan in the upcoming Test series against England? Asif Iqbal: Both players will play crucial roles for Pakistan in the upcoming Test series. 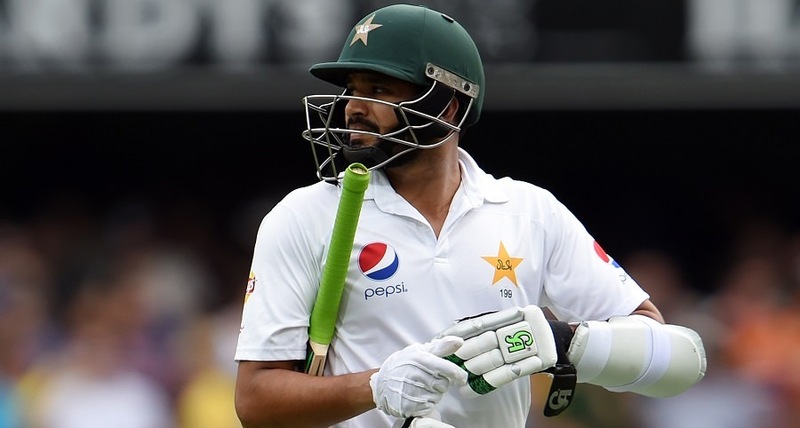 Whilst Asad Shafiq had a great game against Northamptonshire and did well in the first innings in the Test against Ireland, Azhar Ali did not got the runs that we would have liked him to score. But I am not worried about that at all. A good player can be out of form in one or two games but if he has the talent and the class then he will undoubtedly come out on top sooner rather than later. Azhar’s scores in warm-up games and the one-off Test against Ireland may not be to everyone’s liking but always remember that he is a big-match player and he will perform well on the big stage against England. PakPassion.net: Have Pakistan been lax in their succession planning in the way they are struggling to find replacements for Misbah-ul-Haq and Younis Khan? Asif Iqbal: I recall that in our playing days, similar questions were asked about how Pakistan would cope when the likes of Imran Khan and Javed Miandad retired but we managed alright. After that era, we heard that we would have problems when Saeed Anwar retired and so on. Moving to our current situation, I do not believe that it’s the case that we don’t have replacements for Misbah and Younis. It's just a case of it taking longer to get such talented players like the two retired batsmen. Remember that players like Zaheer Abbas also took time to establish themselves in international cricket and similarly the future replacements for Misbah and Younis will take some time to learn the ropes. PakPassion.net: But do you feel that there is talent in Pakistan which can fill the gap left by these two marvellous batsmen? Asif Iqbal: I have no doubt about the talent available in Pakistan today. In fact, I take off my hat to these youngsters as the amount of different types of formats they play in today’s world of cricket is remarkable. And to add to that complication, they are unable to play any series at home and spend most of their playing time away from their country, yet they continue to play with resolve and have shown some good results. They are the number one team in T20Is and have also won the Champions Trophy recently so yes, they may have a period of adjustment because of Misbah and Younis’ retirements, but they need to be given credit for their effort. PakPassion.net: The presence of inexperienced players in the Pakistan squad for the current tour must be a source of concern for you? Asif Iqbal: There has been some talk of Pakistan's squad having too many young and inexperienced players. I understand that in this squad, there were 5 players who were yet to play Test cricket at the start of the tour, but my view is simply that you only get experienced players in your squad, when you allow them a chance to play in the first place. Only when the new players are offered an opportunity to play will they gain experience. One must also remember that Pakistan teams of the past have performed exceptionally well whenever they have toured England. Based on the records of our visits in the past, I would not be surprised at all if the same group of youngsters who are being criticised for being too inexperienced will shock all and play really well during this tour. However, if it so happens that we don’t do well, then we must not be too hard on our players as this is a good learning experience for them. PakPassion.net: Is Shadab Khan ready to take on the role of Yasir Shah who is absent due to injury? Asif Iqbal: I very much think so. In fact, I feel that Pakistan are lucky that despite the unfortunate loss of Yasir Shah, they have a ready-made replacement for him in the shape of Shadab Khan. He may lack experience in the longer format of the game, but I feel that in terms of talent he is as good and maybe better than Yasir. I have high hopes that he will perform well for Pakistan in the upcoming series. Shadab should play in the Test series against England as I feel he is good enough to play for Pakistan and he can perform an effective role for the team. PakPassion.net: Do you expect spin to play an important role in the outcome of the series against England? Asif Iqbal: The reality of the matter is that the weather plays an important part in the outcome of games in England. Test matches held in this part of the year are played in conditions which are not conducive to spin bowling. Having said that, if Pakistan play their matches in weather such as what we saw recently in Northampton, then Shadab could play a big role in Pakistan’s success. PakPassion.net: Imam-ul-Haq’s selection caused some controversy but do you feel he is capable of proving his detractors wrong? Asif Iqbal: Imam seems to have already replied to his critics with some good scores in both warm-up games and in the Test against Ireland so not much needs to be said about that. Personally speaking, I have always been a strong advocate of sportsmen who when confronted with criticism simply respond to their critics by performing well on the field of play. They don’t need to come on television or speak to the media about the criticism levelled at them. A good performance on the field is all the response that is needed by Imam and he has done that to some extent. It is not his fault that he is the nephew of Inzamam-ul-Haq. The fact is that he is good enough and that is why he was chosen for the team and we hope he well do that in the coming days. PakPassion.net: Can Mohammad Amir justify the faith put in him by the Pakistan think-tank? Asif Iqbal: There is always pressure on Amir to perform as he is clearly the spearhead of our bowling attack. Looking back a bit to the 2016 tour of England, where Amir made a comeback in Tests, he was terribly unlucky that so many catches off his bowling were dropped. This must have made a huge impact on his confidence but it seems that people have forgotten about that. Amir remains our best bowler and I know that when Azhar Mahmood spoke about wanting more from him, he was referring to lack of wickets and not the lack of effort which Amir cannot be faulted for. As I said, I firmly believe that he is our main bowler, and God Willing, he will perform well for Pakistan. PakPassion.net: England must be favourites as they have home advantage? Asif Iqbal: It's no secret that each home-side has an advantage when playing on their own turf. If you look at England, they played in Australia recently and lost 4-0 to the hosts and then later on, also lost in the away series against New Zealand. The fact is that every team starts as favourites in their home-series and so will be the case when England play Pakistan in the upcoming series. However, our young players are a very capable lot and to tell you the truth, I will be surprised and disappointed if they don’t do well.